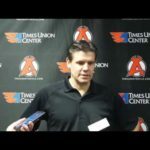 TROY, NY — For the first time in franchise history, the Albany Devils opened the season with back-to-back wins. Additionally, the last time an Albany team started with two victories was in 1998 when the River Rats accomplished the feat. 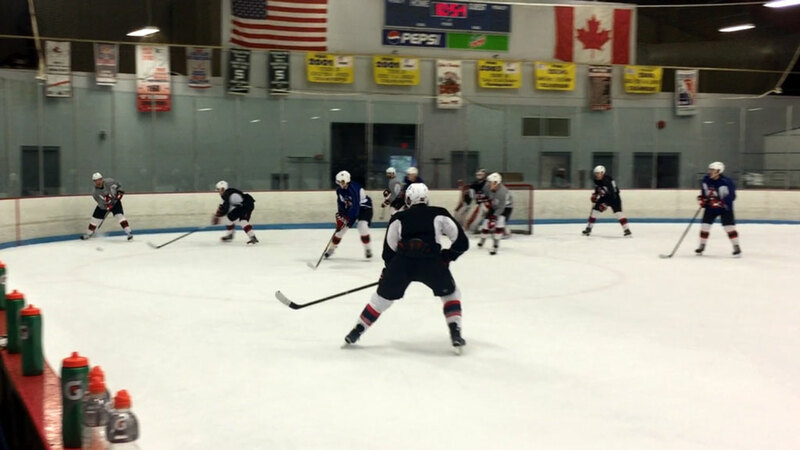 The team was back to work Monday with a morning practice at Knickerbacker Ice Arena. 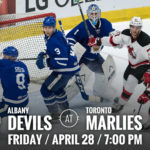 The Devils face their first three-in-three weekend with games against the Binghamton Senators Friday, the Utica Comets Saturday and at the Providence Bruins Sunday. 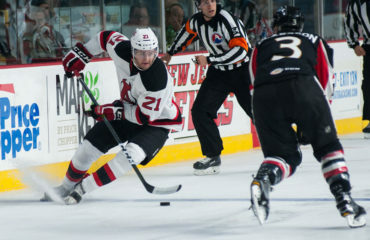 Brian Gibbons, who signed with Albany on Oct. 4, missed the first two games of the season for a good reason. The 28-year-old and his fiance celebrated the birth of their first child. Ty Gibbons was born on Friday, weighing in at 8 lbs 3 oz. Gibbons rejoined the team for Monday’s practice and is expected to make his Devils’ debut on Friday. He is a veteran of more than 300 professional games: 257 outings in the AHL and 66 in the NHL. 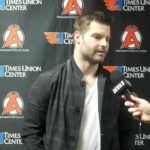 His career totals include 124 points, including 39 goals and 85 assists in the AHL and 22 points, backed by five goals and 17 helpers in the NHL. 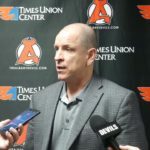 In seven games on an ATO last season, Kevin Rooney failed to find the back of the net despite posting three assists and a +2 rating. The Devils’ rookie was left unsatisfied and to endure the entire summer to finally get another chance. He didn’t have to wait long however, scoring in just the fourth period of the season. 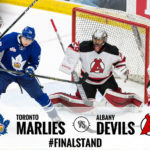 Ryan Kujawinski helped set up the shorthanded tally, which came at the 8:30 mark of the first period of Saturday’s game, giving the Devils a 2-0 advantage.